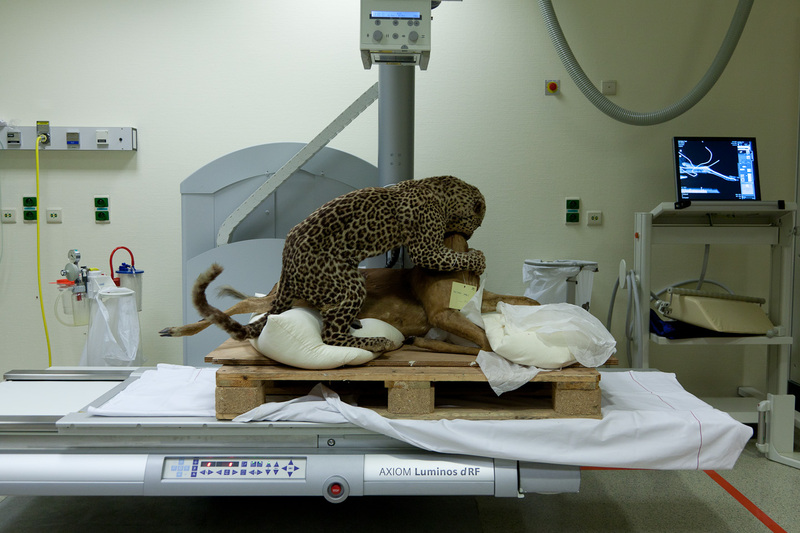 In Leopard, Impala historical taxidermy was taken from the Royal Museum for Central Africa in Tervuren, Belgium to be X-ray’d in a local hospital. 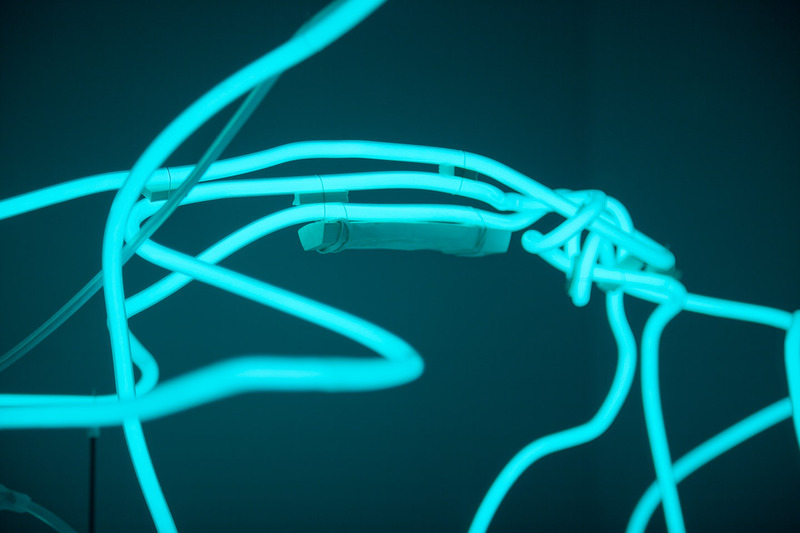 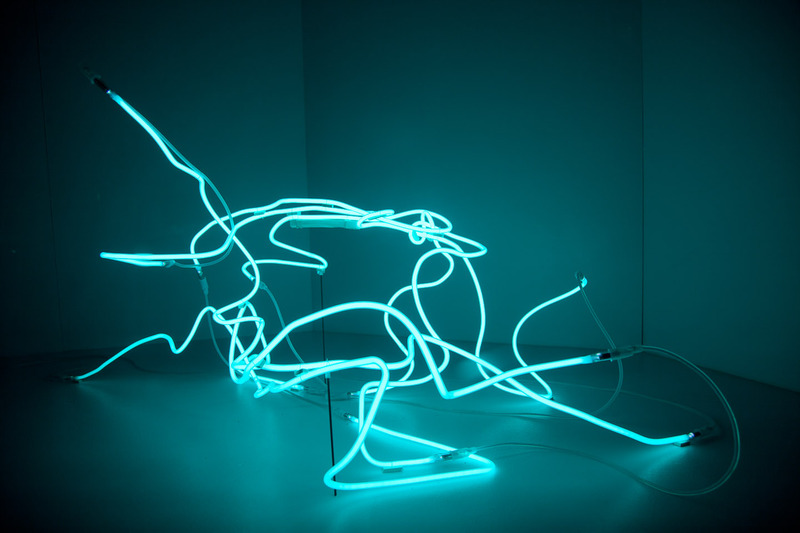 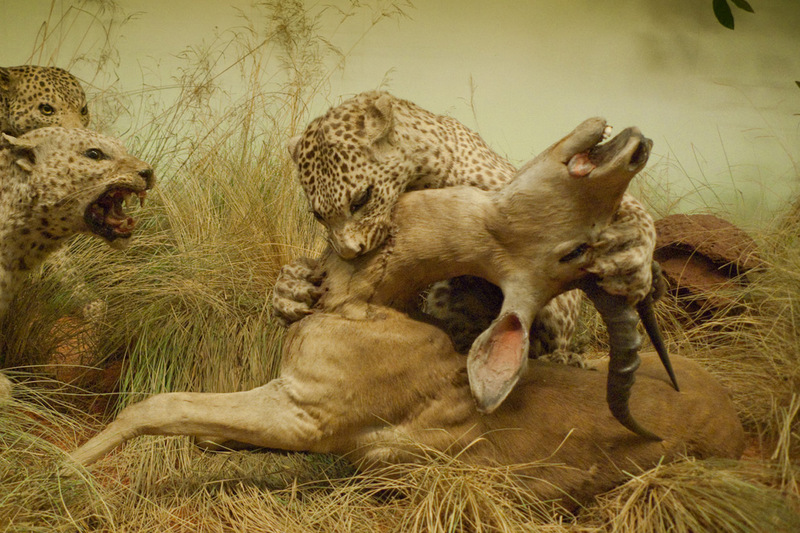 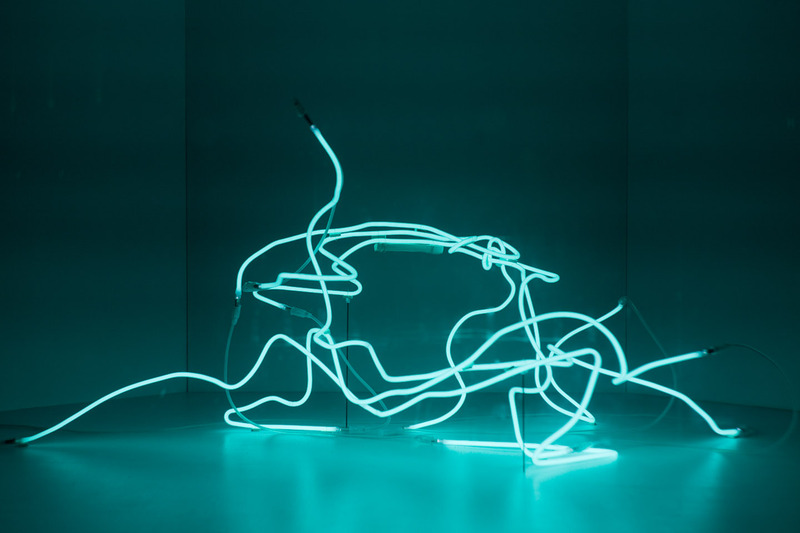 The steel structures uncovered inside the scene of a leopard killing an impala are recreated in rare earth neon, mammoth ivory and natural rubber; reconstructing an imaginary choreography between two animal skins in materials of contemporary mining practices. 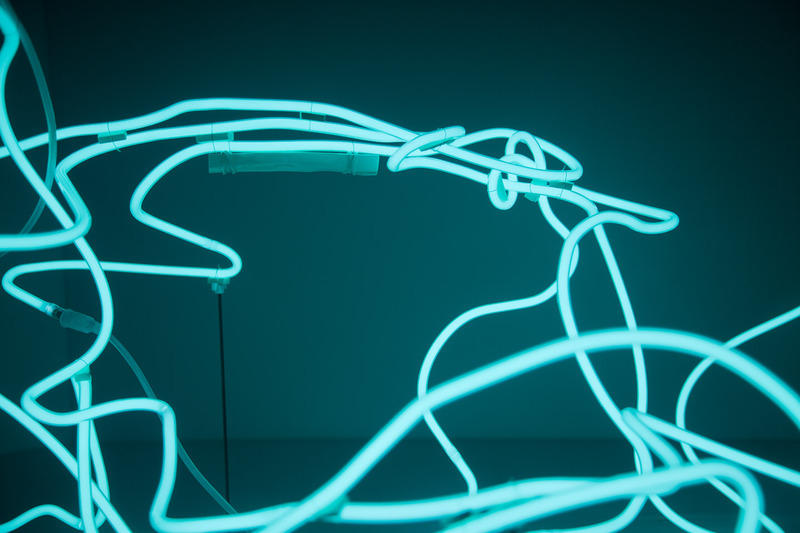 Thanks to Charlie Evans, Raoni Azevedo, Cooking Sections, Mike Harradine.